Unpleasant days are the time to deploy extra cash. A bullishly biased, FCX vertical call spread expiring in August. Consider this FCX bullishly biased, at-the-money vertical call spread expiring in April. The stars are aligned for FCX and another look at the charts is definitely in order. Prime, Amazon Web Services and Alexa are Amazon's ways to win our hearts and wallets. This is a bullish vertical call spread for FCX. Shares of FCX have been diverting from spot copper price. The timing is right to exit FCX, while the SQ position needs a rest. The trade is the bullishly biased, at-the-money vertical call spread expiring in January. We want to look at the downside for this stock. A purchase with a ratio call spread offers upside. But the opportunity exists to snag FCX lower or simply collect some premium. 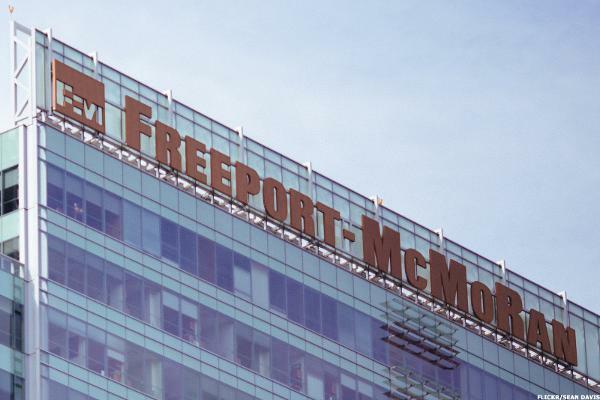 Can Freeport-McMoRan Break Out or Is Copper Going Solo? Here's how to play FCX. Don't trade as if a bear market is already in place. The stock has improved enough to break its 2017 peak.